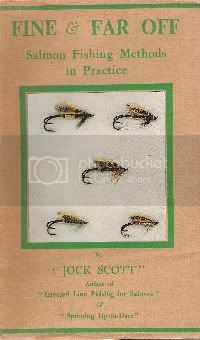 Jock Scott's "Fine & Far Off"
“Fine and Far Off” was published in 1952 and in my view is another attempt by “Jock Scott” at changing the face and conventions of what was salmon fishing to a supposed new range of tactics based upon the “new found” success of a few anglers. However, many of the “new” approaches and tactics were used by many in the 19th Century but only came to wider popular attention in the early part of the 20th Century through printed media. This book mainly covers the methods and achievements of Mr Alexander Grant with an almost deification to match his title of “Wizard of the Ness”. It also covers Mr Percy Laming (and others) who was enormously successful in the early part of the 20th Century using a floating line and methods we would recognise today. 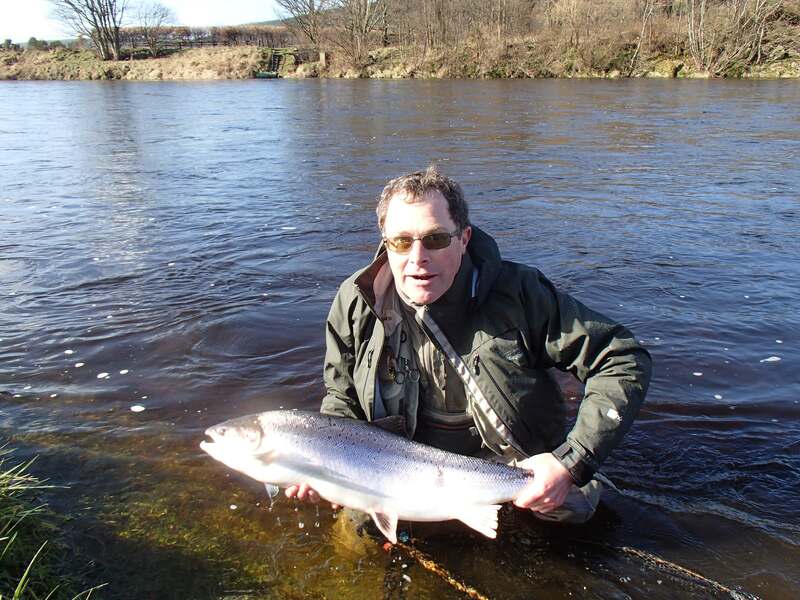 The chapters cover tackle, casting, fishing with an oiled line, controlling drag, Spring fly fishing and a selection miscellaneous remarks covering other anglers, authors and theories, but mainly angling matters invented and developed by Mr Alexander Grant. His achievements are inspirational and the reverence awarded to him in the book will initially breed disbelief that such a man may have existed, never mind accomplish what he did. Virtually every piece of tackle he used was unique and while others may have claimed Mr Grant had perfected fishing tackle and taken it to a form of art, I can quite imagine him being of the opinion that his tackle was always merely in a continuous stage of development and only limited by the materials of the age. When I read this book I had already gained numerous years experience of fishing and so was able to recognise the truth and comprehend some of his genius in methods and tactics. This book is a classic because Mr Alexander Grant was such a great man and angler, superlatives and reverence aside, buy this book and you will not be disappointed. Being currently housebound and having too much time on my hands, I'm getting a bad dose of "I must have this piece of tackle or this book etc etc" the latest must have to catch my eye is a reasonably copy (not a first edition mind!!) of George Kelson's 'The Salmon Fly'. I have slowly down thro the years built up a nice little library with some being revisited on a frequent basis and others well... My question is, althought it is reasonable it is still relatively expensive for a book, but given that I like books and fly tying and with Winter approaching would it be a worthwhile purchase? I would welcome any thoughts. I have the centenary edition from the flyfishers classic library. 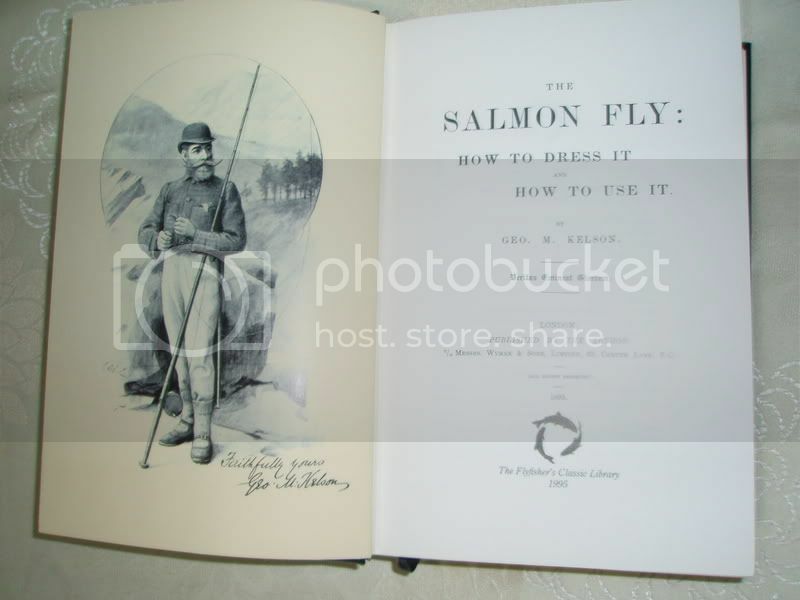 If you are interested in the history of salmon fishing and fly-tying, then it is certainly worth a read. The writing style is a bit heavy going but there are certainly a few interesting points there. Currently out of stock @ FFCL!